Ellie Dubois's shows blur the line between circus and live art. She talks pushing at the limits, gender, and why circus needs more criticism. Sitting on the freshly discovered frontier between live art and circus, Ellie Dubois’s work blows apart preconceptions about what circus can do, is allowed to do. 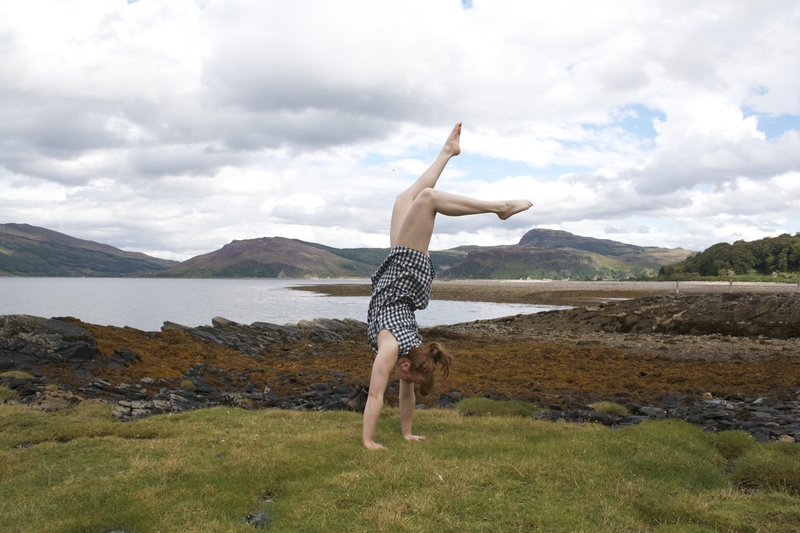 She’s currently working on two shows at Roundhouse’s CircusFest. She’s bringing back her Edinburgh Fringe hit, No Show, a feminist deconstruction of gendered circus tropes. And she’s directing a new work, Fram and Dunt. 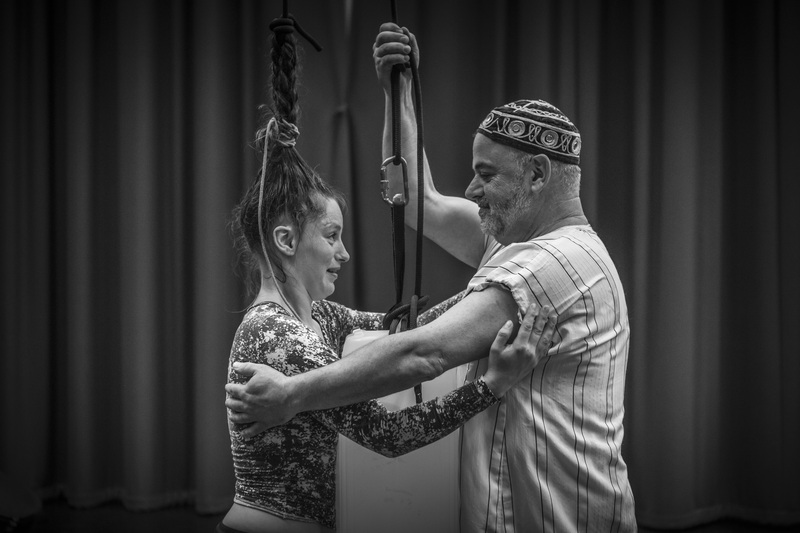 It’s an astonishing piece – Fram is a hair-hanging artist, who performs graceful, seemingly weightless acrobatics while hanging from her own thick plait. Her father is an IT security consultant with a long-suppressed need to perform. Joining her on stage, he finds himself performing some intricate contemporary dance routine, airing his Britain’s Got Talent entry, and even hanging from a harness, feet in the air. It’s often said that people only use 10% of their brains. In reality, it’s quite a bit more than that. But how much of our bodies do we actually use? If mine could speak, it would be something like an old microwave advert that periodically, oddly, pings into my head: “I could be baking a sponge cake, cooking a roast dinner. Instead, she only uses me to microwave her cold cup of tea”, says the forlorn appliance. My body’s potential is wasted in a daily round of unambitious sitting, lounging, walking, and the odd quickly-regretted sprint. Then you go to the circus and you see hands that support a whole person, not a phone. A performer dangling by their hair. Backflips. Breathless moments of wonder that took months of practice to create. “He’d fly through the air with the greatest of ease/ That daring young man on the flying trapeze” – thus goes the 19th century musical hall ditty, the product of circus’ golden era, full of ideas of magic and wonder. Traditionally, performers are seen as pulling off tricks, rather than sweating to do something that sits just at the outermost limits of the body’s potential. Contemporary circus makers are changing that, with a new set of tropes that swap sequins for beads of sweat. 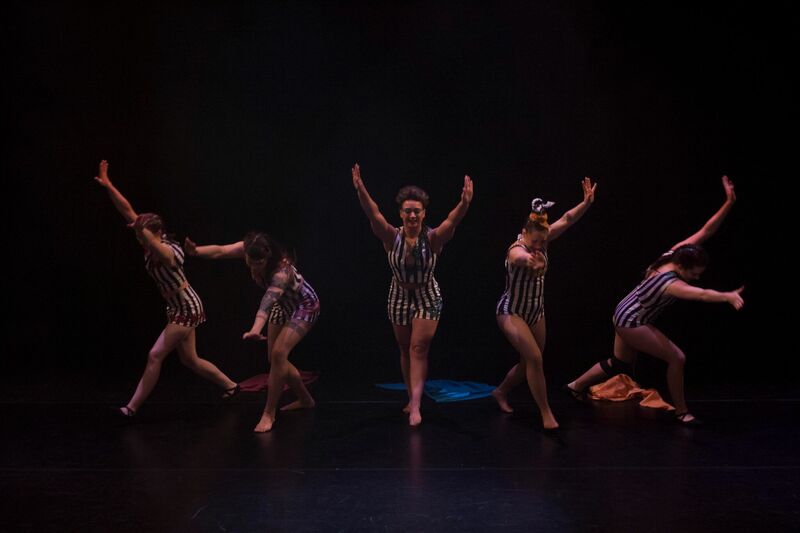 Ellie Dubois’s first show, Ringside, was inspired in part by her interest in making the effort and risk of circus visible. It’s a one-on-one experience where a single audience member watches a trapeze routine take place metres away: sees the bandaged limbs, the bruises, the face creased with effort. Ellie Dubois is especially interested in audience response: one of the many weirdnesses of being a circus performer is that applause doesn’t line up with how difficult or dangerous an individual feat is. Without the same framework of knowledge and experience that they might bring to a theatre show, people applaud to a lighting cue, or in line with the crowd around them. Separating audience members from the comfort of the herd, Ringside has its own destabilising dynamic. It seems incredible that women who can carry several times their own body weight are still patronised, expected to simper on demand. Every circus show I’ve been to, I’ve found myself thinking about gender. About the scenes where a cast of eight men fling a tiny woman in a short skirt around, in a way that made me think of assault – but judging by the Amelie-style soundtrack, was designed to be adorable and romantic. About the way that circus narratives contextualise stunts as part of mating rituals of men-impressing-women, or of bros-hanging-out. And about the way that a genre that’s so ready to explore the eccentric potential of the human body is still so ready to impose a certain body type, a certain homogenous ideal of attractiveness. Fram and Dunt has something of that variety show, all-ages delight to it – there are whoopee cushions on each seat. The handful of pre-teens in the audience are enchanted. Testing themselves to the limits, even if that’s just seeing how much pressure you can put on a small bag of air before it explodes, noisily, as a woman floats by her hair. Fram and Dunt is on until Thursday 5th April, book tickets here. No Show is on from 18th-22nd April, book tickets here. 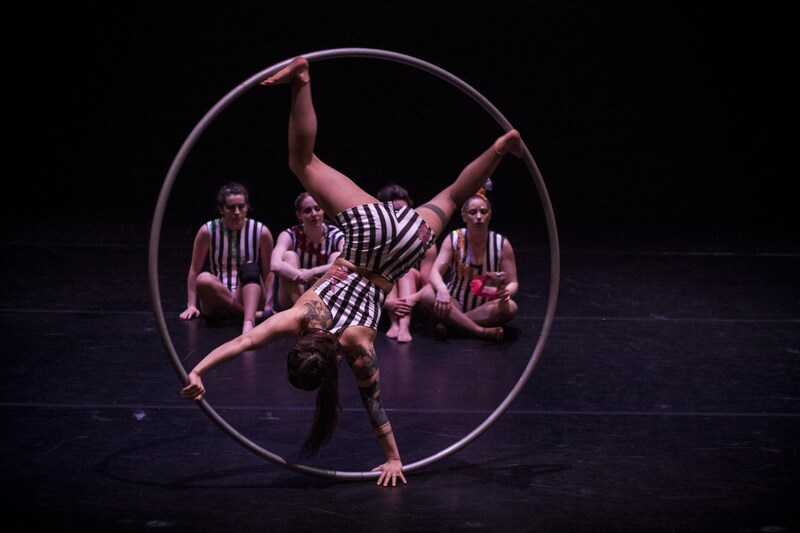 For the full CircusFest line-up, visit the Roundhouse website.